Thunder Mountain High School Principal Dan Larson, left, holds a candy cane from student Mitchell Henderson. "It's a good time of year for goosebumps," Larson said. 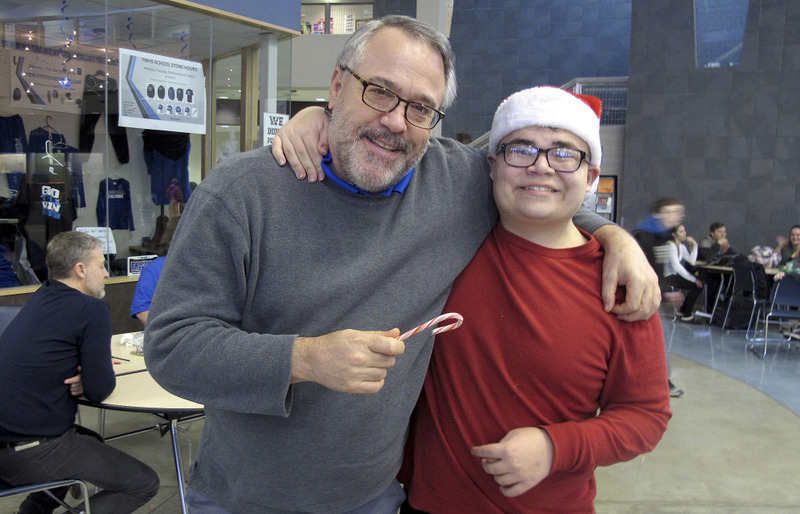 Thunder Mountain High School Principal Dan Larson, left, holds a candy cane from student Mitchell Henderson. “It’s a good time of year for goosebumps,” Larson said.